1.1 The services and/ or Site is operated by Co-Gaming Limited, hereinafter the “Company”, a company registered under the laws of Malta with company number C47444, having its registered office situated at 3rd Floor Spinola Park, Triq Mikiel Ang Borg, St Julian’s SPK1000, Malta. The Casino and Sportsbook products that are provided by Co-Gaming Ltd are licensed and regulated by the UK Gambling Commission. The license was issued on the 22nd June 2015, under license number 039286-R-319338-016. 2.11 The Company offers several different methods for making a deposit or withdrawal from player´s account. Further details on the options currently offered and any charges associated, can be found in the “Deposit” section. Information regarding deposit and withdrawal limits, processing times, currency exchange fees, qualifications and processing fees can also be found in the “Deposit” section. Specifically the deposit and withdrawal fees are outlined here: protected in the event of insolvency. We hold customer funds separate from company funds in a dedicated client account. This means that steps have been taken to protect customer funds but there is no absolute guarantee that all funds will be repaid. This meets the UKGC’s requirements for the segregation of customer funds at a level of basic protection. 2.16 The Company will monitor all wagers and account transactions. All wagers are binding, even if the player had browser problems, Internet connection problems or other problems not caused by the Company. Any winnings will be credited appropriately to the player's account in the case that the player won. In the event of a game malfunction or use of the website in a way not intended by the design, all related wagers are considered null and void, and the player's account will be returned to its starting balance (the account balance prior to erroneous wagering activity). 2.17 In case a deposit made by a player is later refused authorization whether by the player himself or by the banking institution the Company reserves the right to temporarily block the player's account until further investigation and clarification. 2.18 Players may be presented with a list of required documents before making a withdrawal request. We will endeavor to process all requested withdrawals within 24 hours, providing that verification documents have been received. The Company reserves the right to refuse a withdrawal and request additional documents by email. Bonus money will not be paid out from the player's account. The minimum amount for a single withdrawal request is 20 Euro. Any withdrawal can be subject to random security checks to prevent fraudulent activity and money laundering. 2.19 The Company reserves the right to ask for verification documents at any time, and we can temporarily suspend your account until we receive the required documents. The Company carries out additional verification procedures and players having cumulative withdrawals totalling to 2,000 Euro will be requested to provide the Company with personal documentation, such as but not limited to, copies of identification documents, utility bills, copies of payment methods (e.g.credit cards), bank statements etc. In some cases the Company may request that the documents above are notarised. A player's account might be closed permanently and/ or a withdrawal may be refused if a player does not provide the Company with the required documents and/ or if the player is found to have supplied false or misleading information. 2.20 If a player closes the player's account, all funds excluding any bonus money that might not be redeemable will be transferred to the bank account/ payment method (where possible) from where the funds originated. 2.21 The Company actively endeavors to combat money laundering. Withdrawals will be made to the bank account/ payment method (where possible) from where the funds originated. 2.23 It is the players' responsibility to provide sufficient and accurate banking information for the Company to complete a transaction. If the information is not sufficient and accurate any additional fee´s or charges will be levied on the player. 2.26 All transactions are checked to prevent money laundering activity. All members of the customer support team and or payments team will receive adequate training in this regard. It is unlawful to deposit funds from ill-gotten means and all transactions will be checked to identify any such deposits made by users. Any suspicious activity will be reported to the MLRO of the Company and to the relevant authorities. No employee will tip off or warn a suspicious player that the matter is being investigated. 2.27 The Company prohibits player collusion and takes active measures in prohibiting any use of robots or other devices that distort the normal game. 2.28 All bonuses issued by the Company can only be used for playing and may not be transferred or paid out unless stated requirements within the bonus campaign are fulfilled. 2.29 You acknowledge and understand that separate terms and conditions exist with respect to promotions, bonuses and special offers, and are in addition to this agreement. These terms are outlined in the relevant promotions information/details pages. 2.30 All bonuses have an expiry date. If the bonus requirements are not fulfilled at the expiry date, the Company reserves the right to cancel or debit the bonus credits from the account. 2.31 The Company reserves the right to cancel/change/stop marketing promotions at any time without prior notice. 2.32 After the player agrees to participate in a bonus promotion, he/she may receive bonus money from the Company. The bonus money granted together with the real money that was used as qualification for the bonus money will be marked as applicable for game play in respect of that particular bonus only. This balance can only be used on products and games that are outlined in the bonus details page. Bonus requirements can only be fulfilled by playing real money bets on products and games that are outlined in the bonus details page. 2.33 The player has the right to cancel a bonus offer from his/her account. In this case all winnings generated by the bonus money will also be cancelled. 2.34 Multiple participations to the same bonus campaign from the same device/household/IP address are not allowed. In case it is noted that there is abuse of bonuses or any other promotions, the bonus/promotion will be forfeited and any funds on the players account will be frozen. Furthermore, the customer account may be closed by the Company at its own discretion. 2.35 Voucher codes distributed by the Company triggers a bonus promotion to the player account where the voucher is used. 2.36 More detailed information on how bonus and voucher promotions work is available in the customer support knowledge base. 2.37 The Company reserves the right to withdraw any bonus money and VIP points from the player's account if the player has not logged in to his/her player account during the last six months. 2.38 The Company reserves the right to withdraw the Bonus and the resulting profits if any term of the offer or promotion have been breached, furthermore, it may also withhold any other funds held in the player's account to make up for any losses incurred by the Company due to the breach of the said conditions. 2.39 All bonuses, promotions and special offers have a wagering requirement. Unless specified in the terms and conditions of the relevant bonus/promotion information page then the minimum wagering requirement shall be to wager one time the deposited amount on the relevant bonus product before a withdrawal can be made. In case of any discrepancies’ between this clause and the bonus/promotion terms and conditions then the bonus/promotion terms and conditions shall prevail. 2.40 The maximum payout amount that any customer can request to withdraw after winning any amount related to any no-deposit welcome bonuses or free spins (excluding those winnings deriving from a deposit bonus) is €100 or the equivalent in other currencies. Any amount above €100 will be removed from your player account upon your withdrawal request. 2.41 The Company reserves the right to reverse the wagering that was increased when the bet that was placed with bonus money is cashed out, cancelled or void. 2.42 If the Bonus terms & conditions above have been translated into various languages these reflect the same principles. However, in case of any discrepancies between the different language versions, the English version shall prevail. 2.43 You are not allowed to place a bet on the following games whilst you avail from a bonus promotion and/or have a bonus balance in your account: Bob, Bloodsuckers, Ooh Aah Dracula, Zombies, High Society, Forsaken Kingdom, Simsalabim, Sugar Pop, Peek a Bo, Good Girl Bad Girl, Stardust, Sparks, Jokerizer, Secrets of Atlantis, Toki Time, Hot Ink, Starmania, Jackpot Poker, Football: Champions Cup, Reel Thunder, Rhyming Reels- Jack and Jill, Copy Cats, Fruit Warp, Castle Builder II, Jacks or Better, Wild Rockets, Creature Black Lagoon, Steam Tower, Tomb Raider II, Dead or Alive, Robin Hood, Giant Panda, Untamed Crowned Eagle, and The Wishmaster. The Company reserves the right to remove any bonuses and/or close your account if you place a bet on the previously mentioned games while having bonus money in your account. 2.44 The maximum bet allowed when using a bonus balance in the casino is GBP 4.00 per spin or hand. Failure to comply may result in the forfeit of any winnings. 2.45 When activating a bonus, the amount activated is placed into a Personal Bonus wallet. This wallet includes all Real Money funds deposited prior to Bonus activation as well as Bonus money. When placing bets using this Personal Bonus wallet, both Real Money and Bonus Money will be wagered. Any deposits made after the bonus activation will be placed in the My Balance wallet. For further information regarding how the above wallets as well as real money and bonus money works, please visit our FAQs hereOnline Dispute Resolution (ODR) platform. The ODR does not offer dispute resolution services but shall refer your claim to IBAS. 4.2 In the event that there is a discrepancy between the game variations as recorded in the Company's database, and that recorded by the player, the calls recorded in the Company's game server will be considered valid. 5.3 A player that has selected to close his player’s account could open this again by sending a request to the customer support team. Microgaming games ‘Major Millions 5 Reel’, ‘Treasure Nile’, ‘King Cashalot’, ‘Mega Moolah’, ‘Mega Moolah Isis’ and ‘Cash Splash’ are not offered to players residing in Singapore, South Africa, Denmark, United States of America, Spain, France, Belgium, Bulgaria, Canada, Denmark, Estonia, Italy, Latvia, Lithuania, Mexico, Portugal, Romania, Turkey and Israel. 10.3 You will be solely responsible for anything and everything you submit to the Company's Chat Service. We cannot assume any responsibility or liability over any material or content published by you or other users on the Service. The responsibility over any published material or content lies solely on the user that submitted it to the Service. 10.4 The Company reserves the right to monitor anything and everything submitted by you to the Company's Chat Service to ensure that they conform to content guidelines that are monitored by us and subject to change from time to time. 10.5 The Company reserves the right to terminate or suspend your access to the Company's Chat Service at any time, with or without notice, for any reason. Without limiting the generality of the foregoing, any fraudulent, abusive, or otherwise illegal activity may be grounds for termination of your access to the Company's Chat Service, and/ or services offered by the Company, at our sole discretion, and you may be referred to the relevant authority. 11.1 The Company Casino is powered by NetEnt, Microgaming, Play’n Go, Evolution, Yggdrasil, Relax, WMS, Oryx. 11.23 More information on Sportsbook can be found under rules section in the Sportsbook. 11.24 Should the player encounter any confusion regarding bet types, it is the player’s responsibility to contact the Company Customer Support. In cases where ambiguity may arise, the English version of the respective bet type always prevails. 11.25 Only one free bet is available per customer, per campaign, unless otherwise stated. 11.26 Unless otherwise stated in our communication, free bets must be placed on a selection with odds of 1.50 or higher. Should there be uncertainty surrounding the minimum use requirements of your free bet, these terms and conditions shall prevail. 11.27 Unless otherwise stated in our communication, free bets have an expiry date of 7 days from the day it was credited on account. If the free bet offer is not fulfilled at the expiry date, the Company reserves the right to cancel the free bet. 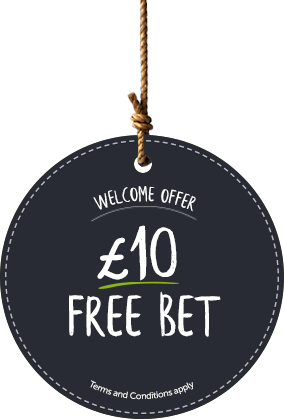 11.28 Free bets cannot be exchanged for real money or any other bonuses. 11.29 The free bet part of your stake is not included in any returns. 11.30 Free bet offers are limited to one per person, family, household address, email address and shared computer. In case it is noted that there are similar accounts abusing free bets, the Company reserves the right to withdraw the availability of free bet offers from such accounts. Furthermore, the customer accounts may be closed by the Company at its own discretion. 11.31 Free bets cannot be split. It must be used with its full amount on either one single bet or one multiple/combo bet. 11.32 If you choose not to use the full amount of your free bet, the remaining amount will be forfeited. 11.33 Due to abuse of free bet offers, customers who deposit using Neteller, Paysafecard or Skrill will not be eligible for any free bet offer and welcome offers. 12.7 You can spend your points only in the Company Shop. From time to time, the Company can alter the products (Lotteries, Merchandise, Donations, Promotions and others) offered in the Shop. The Company reserves the right to offer different products to different players. All products in the shop have a Point value that the player must pay in order to purchase that product. The Company reserves the right to cancel an order and give back the points to the player. 12.10 You have to give us correct information when you order products from the Shop. The Company is not responsible for any products that are lost or not delivered due to wrong information supplied by the player. 12.11 The Company will not be liable for any loss or damage whatsoever (including but not limited to indirect or consequential loss) or for personal injury which is suffered or sustained in connection with any product. 12.12 Donations will be requested by the player and be carried out by The Company. The Company will ensure that the donation is made properly and the player that has requested the donation has received official confirmation from the relevant organization. 12.13 Taxes, if any, on any Prize is Players sole responsibility. 13.2 Financial Limits: The Company provides tools to help control your gaming. You can establish limits on (1) the amount you spend (net deposits = deposits – withdrawals) and (2) the amount you deposit (sum of all deposits) over a given period, be it daily, weekly or monthly. A requested limit will have effect immediately the first time it is submitted or in case a prior limit is lowered. If the limit amount is increased or terminated, such change will have effect after a 24 hour cooling off period. Further information can be found in the Account Limits section under “Account Settings”. Should you have accounts on other websites operated by Co-Gaming Limited, it is your responsibility to make sure that you set your financial limits across all your accounts, or else please contact our Customer Support Team who will be able to assist you. 13.3 Time-outs: If you want to take a break from gaming you may select a time-out period of 12 hours, 24 hours, 2 days, 3 days, 1 week, 2 weeks, 1 month or 6 weeks by: (1) sending such a request to our customer support team or (2) via the account closure tool available under “Account Settings”. At the end of any time-out period your account will be automatically re-opened. Should you have accounts on other websites operated by Co-Gaming Limited, it is your responsibility to make sure that you set your time-outs across all your accounts, or else please contact our Customer Support Team who will be able to assist you. 13.4 Self Exclusion: If you want to stop your gaming you can exercise the right to exclude yourself from playing at The Company by: (1) sending such a request to our customer support team or (2) by using our online self-exclusion tool available under “Account Settings”. It will not be possible for the account to be re-opened for any reason once you have chosen to self-exclude yourself. During this period The Company will do all it can to prevent new accounts being opened. Should you choose to self-exclude from this site, we will take all reasonable steps to close all accounts on other websites operated by Co-Gaming Limited, identified as belonging to you. We will not consider the self-exclusion period as having commenced until it has been fully implemented and communicated to you. Please note that this process takes a reasonable working period to implement. If after this you find that you can still access any of Co-Gaming Limited sites, it is your responsibility to contact us immediately to inform us. Failing this, we will not be held liable to you or any third party if you are able to continue to gamble via any of the Co-Gaming websites. It is your responsibility to contact our Customer Support Team to ensure that all of your accounts with other websites operated by Co-Gaming Limited are closed. You shall not be permitted to open or use a new account with any other site operated by Co-Gaming Limited while being self-excluded. An account that is closed for any reason other than responsible gaming can be re-opened by the customer at any time. 13.5 Reality Check: The Company also provides you with an automatic reality check to get a clear indication of how long you have been playing on our games in a session. This feature will also allow you to see your wins and losses for that current session. Notwithstanding the foregoing, if the Company or its officers, directors, employees, shareholders, parents, subsidiaries, affiliates, agents, partners or licensors should be found liable for any loss or damage which arises out of or is in any way connected to the Site, the liability of the Company, or its officers, directors, employees, shareholders, parents, subsidiaries, affiliates, agents, partners or licensors shall in no event exceed, the value of the bets and/or wagers you placed via your account in respect of the relevant bet/wager or product that gave rise to the relevant liability. To the extent allowed under applicable laws, neither the Company nor any of its affiliates or service providers accepts any liability for any direct, indirect, special, punitive, incidental, exemplary or consequential damages of any kind arising from or relating to your access to and use of the Site and/or the services provided by the Company. In no event shall the Company's total liability to you for all damages, losses, and causes of action exceed the amount paid by you to the Company. The Company does not warrant that the Site or the services provided by the Company will be uninterrupted or error-free. The Site and the services are provided on an "as is" basis.